While myriad quotes are variations on this core idea (and it’s likely that Addair’s quote itself is his spin on notions advanced by his influencers), in my opinion this one’s noteworthy for the blast radius of its impact. Get past fear and what you want is available to you. Elemental, potent, and true. What fears prevent people from connecting with their Everything, their True Love relationship? The above are just the tippety-top of the tip of the iceberg. They can pertain to people who are either in a non-Everything relationship, or who aren’t in a relationship at all. What if I don’t find someone better and end up alone? Will my kid/s suffer if I leave my marriage? Will I be able to make ends meet on my own? Will I be viewed as “damaged goods?” Will leaving devastate my husband/wife? Fear can hold you captive. Love can set you free. I acknowledge that fear is a pervasive thing, and difficult to move past. Yet if you aspire to an Everything relationship, yearn for a Love so pure and True that it will empower and elevate you and everything you touch, forever, you have to be willing to let go of the fears that are holding you back. If you’re in a non-Everything relationship, doing so could mean turbulence, disruption, conflict, instability, compromises in terms of lifestyle, and many other things that may prove challenging. But there is no other way to Everything, to True Love. 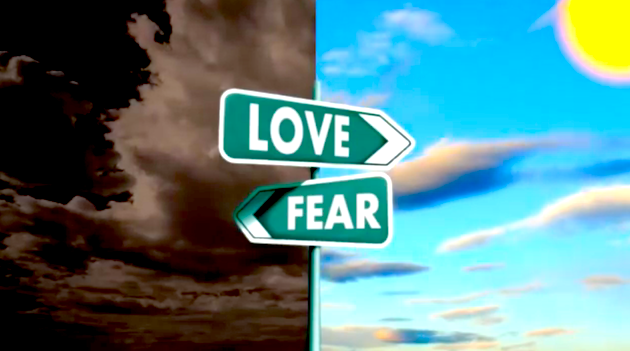 If you choose to remain paralyzed by fear–and it is a choice–understand a simple truth: you are keeping yourself and everyone connected to your present circumstances from the possibility of a better reality. I chose not to let my existence be ruled by fear. And by so doing I found my Everything with an amazing woman. If you’re hoping to find your Everything, your True Love, you have the same choice ahead of you. It’s only by letting go of fear that you’ll be able to be at and give your best–to offer Everything to another. And guess what? It’s only when you’re willing to offer Everything that you’ll receive it. The giving and receiving of Everything is so singularly, incomparably amazing that I’m committed to helping others experience it themselves. That’s why this blog exists. Does this mean that you’ll need to step outside of your comfort zone? If it’s Everything that you seek, almost certainly. A couple paragraphs up I mentioned that the ongoing choice of fear can keep you and those connected to you from the possibility of a better reality. For most of us, confronting fear decidedly means stepping out of our comfort zones. So is there a chance that you could decide to step outside of your comfort zone, commit to live in and as love, yet not find your Everything? I can only speak of my own experience, and based on that my recommendation is that you open your heart and let it guide you. You’ll be pleasantly surprised by what happens. Does Nicholas Sparks’ Divorce Say Anything About True Love? Online news media and social media were abuzz earlier this month when news broke of the end of mega-successful romance author Nicholas Sparks’ 25-year marriage. An article on The Huffington Post culled tweets expressive of the sentiment that if Nicholas Sparks, the mind behind culturally impactful books (and movies) like The Notebook, Safe Haven, Nights in Rodanthe, The Lucky One, and so on and so forth–who had previously cited his relationship with wife Cathy as inspiration for his work– was giving up on a relationship, then True Love must be dead and buried. Frankly I’m amazed that so many expressed the sentiment of feeling cheated somehow because Sparks’ literary output had had a positive impact on them, perhaps giving them hope that a relationship like those depicted in his books and films was out there somewhere for them, but now, since his own marriage proved not to be an Everything relationship, that somehow undercut the hopeful and optimistic message underlying his overall body of work. Responding, then, to the question posed in the title of this post, does Nicholas Sparks’ divorce say anything about True Love? In a nutshell, hells yes it does! It says that True Love is alive and well, thank you very much. After 25 years and probably a ton of practical reasons to remain together: kids, finances, and, in this particular case, public perception, Nicholas and Cathy Sparks recognized that their relationship had run its course. It was not a True Love relationship. Not an Everything relationship. Why? Because one simply cannot have had a True Love relationship. If it voluntarily ends, regardless of the specifics, it fell short of True Love. By acknowledging this, by accepting that a better reality might well be out there for both of them, romantically speaking, Nicholas and Cathy Sparks are totally and unequivocally validating the lure and desire for the most vaunted relational state possible for us as human beings–you got it: True Love. True Love knows no age. It becomes possible when the circumstances of one’s life–one’s understanding of one’s self, one’s contentedness with the individual completeness of one’s life, and one’s precise definition of who and what one wants in their ideal romantic partner and relationship–set the stage for it. In Nicholas Sparks’ case, his relationship with and marriage to Cathy was good enough to inspire him to hypothesize great, True Love romance and express it in ways that spoke to millions and millions. Ultimately, it perhaps even spoke to him and Cathy, helping them realize that “good enough” is a far cry from True Love, from Everything. And now they’re both free to pursue that for themselves. With all that they experienced and learned from each other, about what they want and don’t want in their respective Everything relationships, helping refine their visions of their ideal relationships. From where I stand people shouldn’t take the Sparks divorce as the death knell of True Love. Quite the opposite: they should take it as convincing validation that True Love is alive and well, thank you very much. Click Here to Take a Short Questionnaire about Love and Relationships!